In 1985, the Music Video Revolution was Televised. On Channel 66. In the early 1980s, Massachusetts radio personality John Garabedian came up with a plan to launch a TV channel to function as music television for the Boston-based college crowd. His goal was to take the Music Video TV concept and make it live (real time) and local (catering to Boston's interests). 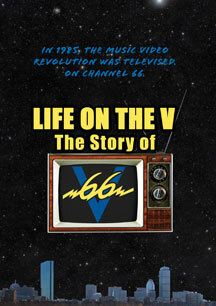 On February 12, 1985, V66 (on WVJV-TV channel 66) went live on the air and created an immediate sensation. V66 was in the right place at the right time to showcase Boston's superstar acts of this era (Aerosmith, The Cars, and The J. Geils Band) as well as the new rising stars from Boston's music scene ('Til Tuesday, Extreme, and The Del Fuegos). They played a wide variety of music genres and often times they played local unsigned bands in between international superstars. In July 1985, V66 was the only non-cable TV channel besides ABC to broadcast the historic Live Aid concert in Boston. They also broadcast live concerts and events all over the Boston area. The fans on the street, dancing at the clubs and calling in to win contests became as much a part of the channel as the music being played. In the summer of 1986, V66 was sold to the Home Shopping Network. 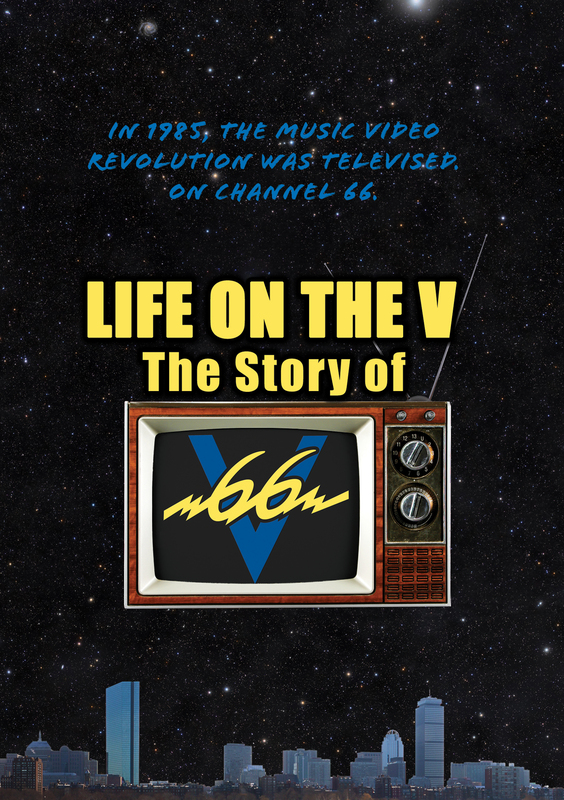 On September 21, 1986, V66 signed off the channel 66 airwaves. Life On The V captures that moment in time, by combining archival footage with newly shot interviews told by the people who lived it. Featured interviews include former V66 employees (John Garabedian, Arnie Ginsburg, David Beadle, Roxy Myzal, Bob Rivers, David O'Leary, Ian O'Malley, and Bill Stephens), musicians (including members of The Cars, The J. Geils Band, New Edition, 'Til Tuesday, Extreme, The Del Fuegos, Puddle of Mudd, Letters to Cleo, The Lemonheads, Dropkick Murphys and Morphine) and fans (Mike Dreese, Ernie Boch Jr.). It offers a fascinating tribute to an unusual blip in 80s pop culture history. #10 Best Movie of 2014! A Once-in-a-lifetime movie-going experience. Brings the decade back to life with a fizzy mix of music, clips and interviews, deftly rewinding us back to a simpler time before internet killed the video star. We both give it an A!